Having had to give a workshop and demonstration and suffering a bad cold, this week has been a bit of a washout. 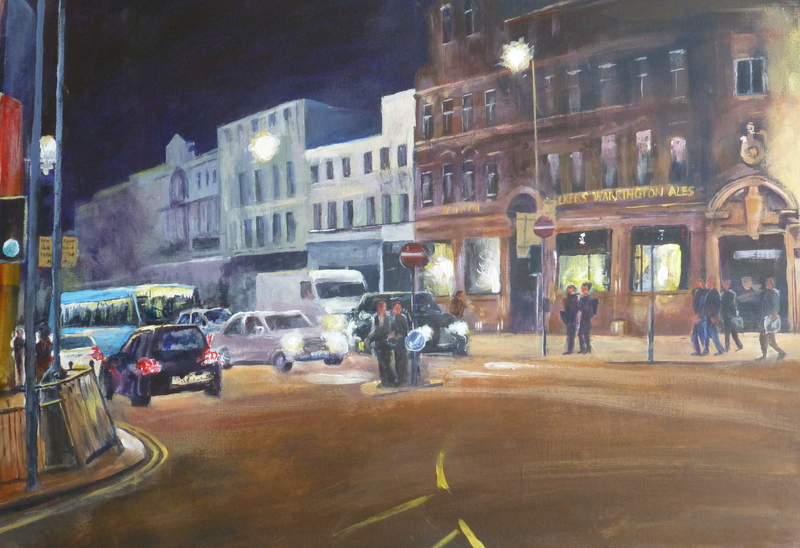 Still, I need a couple of paintings for a show in Liverpool and fancied putting this one in along with the one of Hope Street I posted a few days ago. I love the lights and reflections on the old pub which is sometimes known as the big house. Despite having loads of work in different show sales have been poor. I only sold one over the weekend although I did sell one last week at another show. I have also got a show at my framers. However he is a bit out of the way so I am not holding my breath there. Its a hard life, this painting. I have joined the Liver sketching group and they are having an exhibition. I have two Liverpool paintings so I thought that I would do one more so that I could submit a small set. 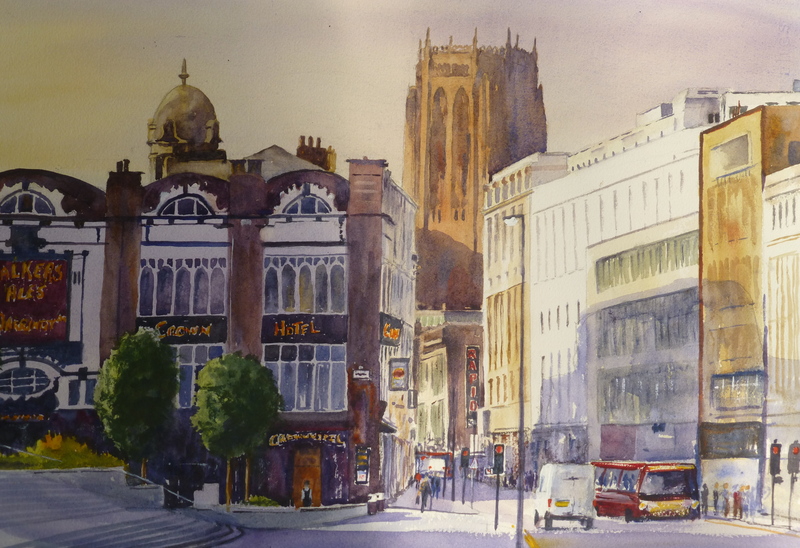 This one looks up Lime Street ( the railway station is out of the picture to the left) and up Renshaw Street to the Anglican Cathedral. Catching it in the morning light gives some power to the cathederal as it hangs over the city in menace.